Adohi Lodge, is set in 37 acres within a private secure and gated log cabin community. Adohi Lodge has mountain views and a private hiking trail and creek fishing access. This two bedrooms cabin each with its own private ensuite bathroom and king size wrought iron beds give guests the comfort they require while on vacation. In the living area the first thing guests comment on is the decorative features that give Adohi Lodge its uniqueness. At the top of the stairs a tree reaches up to the high beamed ceilings, the stair rails, made of mountain laurel branches lovingly sanded and stained. There is a full kitchen with hand crafted handles on the units and a kitchen island topped off with colorful Indian slate tiles. The seating area has leather sofas along with DVD and Direct TV. There is also a pool table for the men and kids to enjoy. The two upper decks one with BBQ, swing and rocking chairs and the other with table and chairs for outside dining give guests the opportunity to relax outdoors. Outside, there is a fire pit and large hot tub to allow you to unwind after a long day of enjoying all the wonderful activities the area has to offer. For your safety a Security Camera is located in the parking parking area. Adohi Lodge Vacation Rental Log Cabin is located in 37 acres of an upscale privately gated Log Cabin Community, which includes several private well marked and maintained hiking trails, 200 feet of creek access for fishing, a swing bridge across the creek taking you to a grassy 1 acre picnic area with a rustic covered Pavilion. 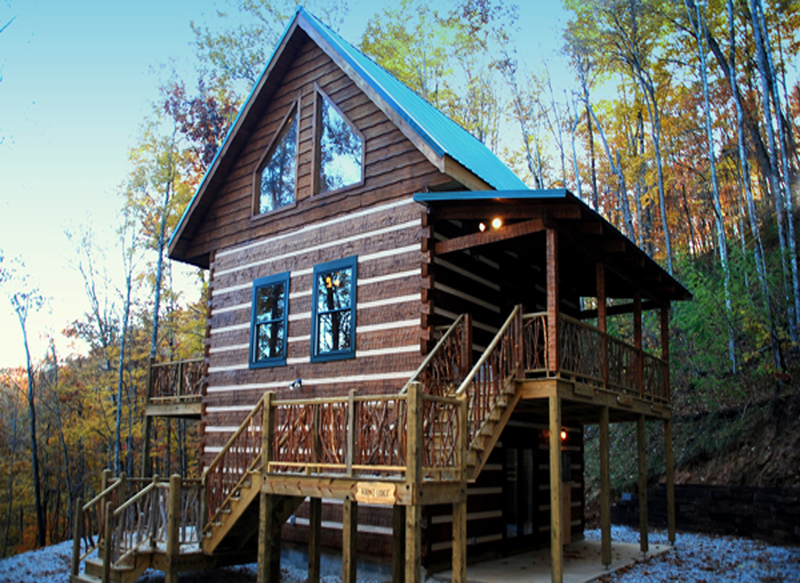 The whole area is surrounded by the National Forest and deeded an animal conservation area; the cabin sits completely alone and has outstanding 4,000 feet views of the Appalachian Mountains. Nantahala Township is located in North Carolina in the part of Macon Countywhich is west of Wayah Gap. It has a population of 1,711. "Nantahala" is a Cherokee word which means "Land of the Noonday Sun." The area fits its name because in a few spots, the sun’s rays only reaches the floors of the Nantahala National Forest when it is directly overhead during the middle of the day. The Cherokee Indians are credited for finding this region in North Carolina. They called their “town” Aquone. This area is now covered with water and known as Nantahala Lake. There is plenty of evidence to prove that other people lived in this area long before the Cherokee Indians were here. There are many Indian villages in the Aquone area, and other similar evidence of other villages throughout the entire Nantahala community. The town of Aquone vanished and was rediscovered by a Spanish Conquistador Hernando de Soto in 1540 and then again by William Bartram in the 18th century. The cabin has an eight person hot tub and a pool table. 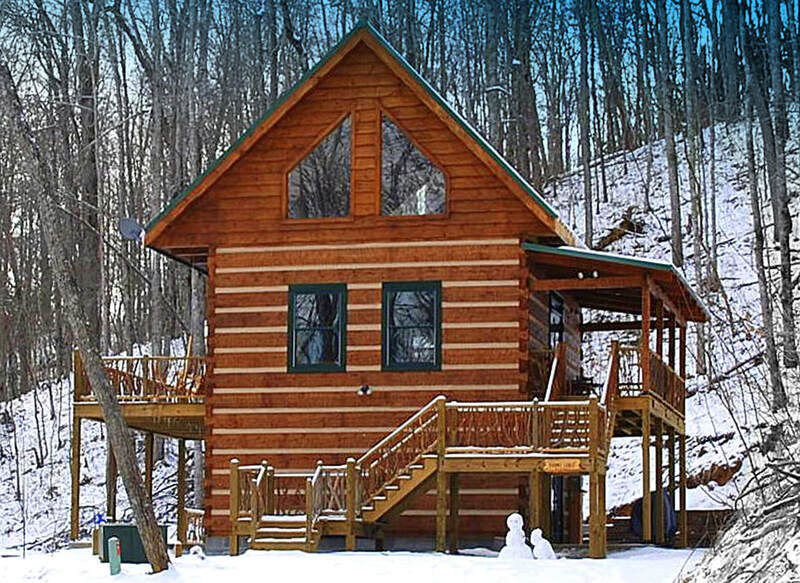 This cabin includes a large 16 x 16 outdoor deck, where the hot tub is located. Some unusual features are our custom (tree) stairwell, a great talking point for guests that stay with us. All the furniture is very comfortable, rustic and handcrafted. Both bedrooms are en-suite and have their own private fireplace and king size wrought iron antique beds. You have a choice of four external decks, two of which are covered with alfresco dining as an option for your family. 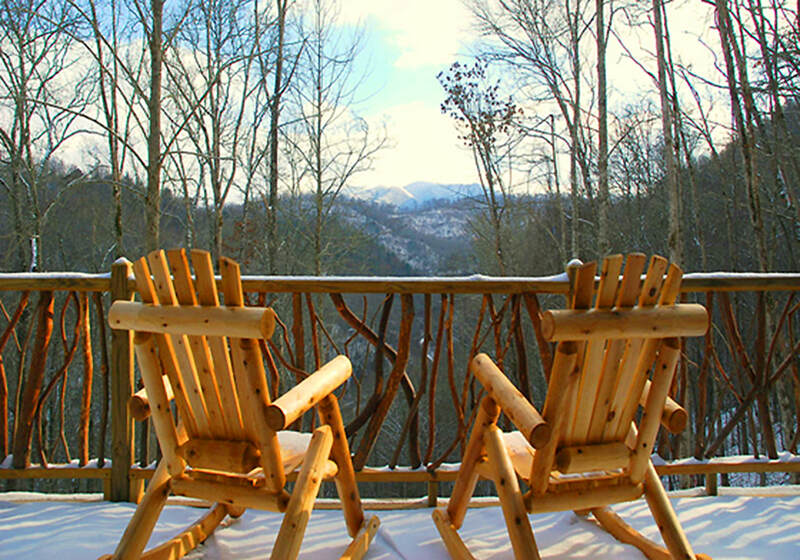 We are located close to Nantahala Lake, Great Smokey Mountain Railway & Maggie Valley Ski Resort. Old River Road is a absolute must for those who love to fish trout and the river is regularly stocked by the Forest Service.